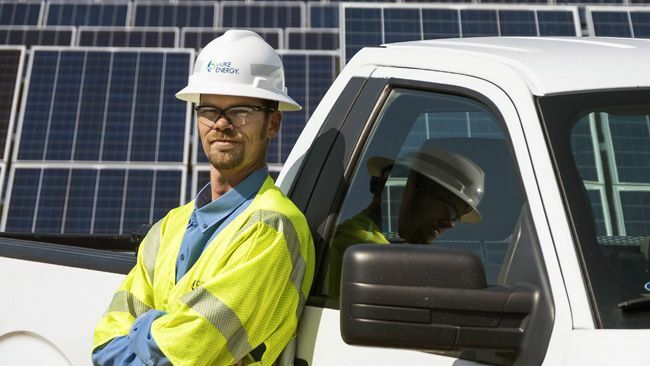 CHARLOTTE, N.C. -- Duke Energy's success in making restorations is being tempered by the desire to have all customers restored as quickly and safely as possible. Roughly 1.2 million customers were affected by Hurricane Matthew. In the past 48 hours, Duke Energy has restored about 825,000 outages. There are around 430,000 outages remaining, with 308,000 in North Carolina and 122,000 in South Carolina. With almost 7,000 crews making repairs, the company has called for additional assistance and that number could come close to doubling in the next day or so. Help has come from as far away as Canada. Sometimes it's hard to comprehend how there can be so many outages when the weather is beautiful. More than 800 broken poles and miles of downed lines -- and still counting. In some Duke Energy service areas, the electrical system will need to be rebuilt. "I understand what folks are feeling," said Bobby Simpson, who is overseeing Duke Energy's restoration efforts. "Normally our crews are battling the elements as they're trying to replace poles and transformers and restring circuits. Today the sun was shining as they climbed into their trucks. But they only had to drive a mile or two down the road to be back in the middle of an environmental war zone." Duke Energy has posted estimated times of restoration on its website today. Customers should understand those restoration times reflect the latest time a customer's power could be restored. However, as crews assess specific areas, these times may be improved. However, customers in some of the hardest-hit counties might be without power all week. In some areas, the damage seen is on a scale similar to the destruction of Hurricanes Hugo and Floyd. Duke Energy's customer service centers have supplemented their ranks to assist customers who call to report outages and emergencies. Ash and cooling pond dams in the Carolinas continue to operate safely. 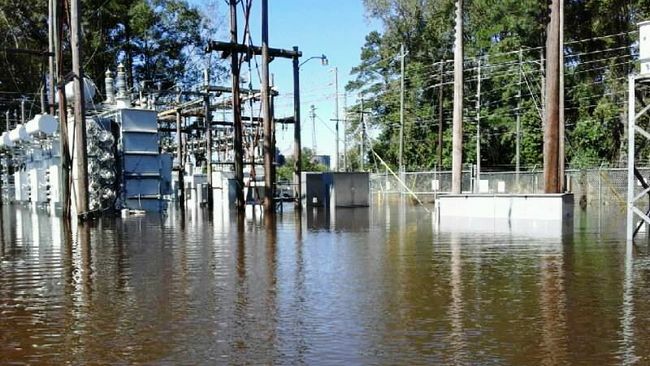 Flooding is beginning to subside near the retired Weatherspoon Plant in Lumberton, N.C. The Neuse River near the H.F. Lee Plant in Goldsboro, N.C., continues to rise and may flow into the plant's cooling pond later today. The Weatherspoon Plant ash basin and active ash basin at H.F. Lee Plant are not affected. State regulators continue to support operations at both plants. 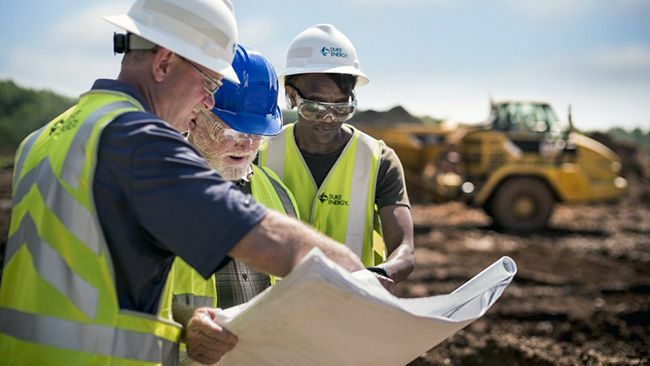 Our employees are trained to be vigilant and constantly aware of their surroundings. If, at any time, our crews believe they are in an unsafe situation, they will postpone the work until the area is safe and secure. We will continue to monitor this evolving situation with our focus on the safety of our customers and employees. Anyone encountering electrical equipment after a storm, whether it is a downed power line, a substation or a solar site, take extreme caution and assume that the equipment is energized -- especially do not go near electrical equipment when it is immersed in standing water. Please report downed power lines to Duke Energy or your local power provider.